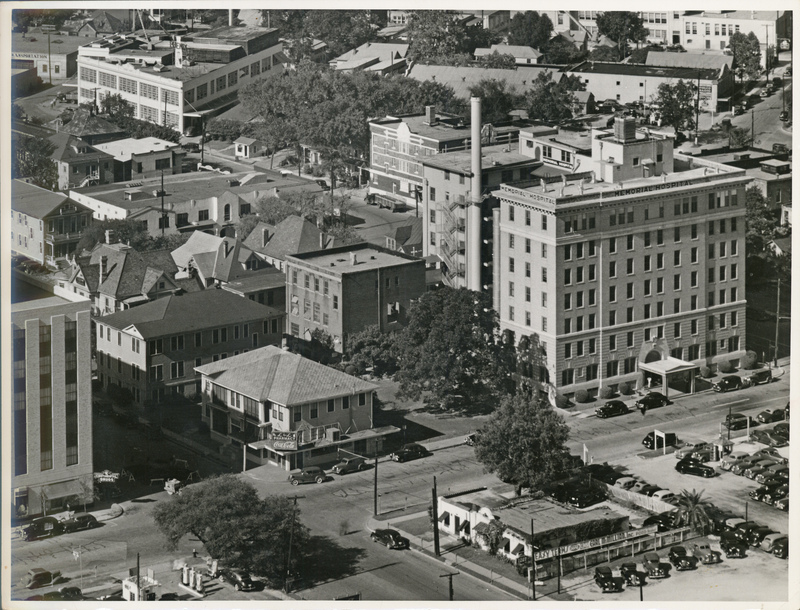 Houston’s Medical Arts Building (1926-1980’s) housed physicians’ and dentists’ offices, and related businesses such as this medical supplier. Hermann Hospital apparently kept a pair of pet burros in the yard behind the hospital. The screened porches on the back of the nurses’ dormitory are in the background. 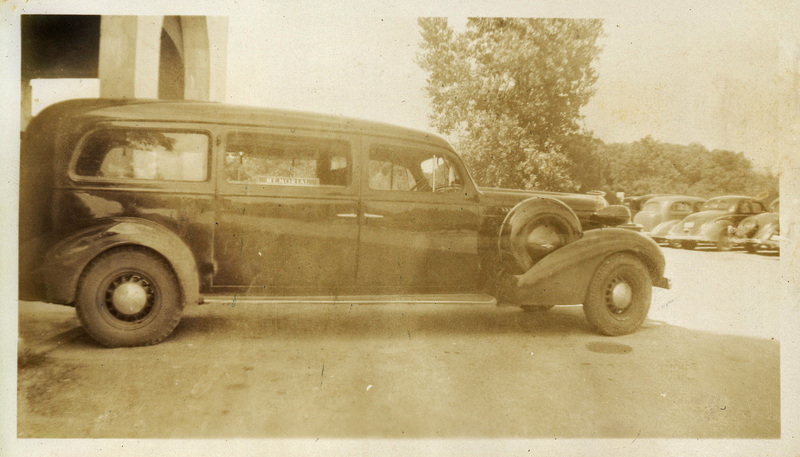 The following pictures are from a sizable collection of images of Memorial Hospital, from the 1930’s and early 1940’s. Most of the information about them comes from notations included with the photographs. The large light-colored building in the upper left is the Phenix Dairy, established in 1914 and once a major distributor in the South. This area is near the Julia Ideson building of the Houston Public Library, but is otherwise all skyscrapers now. 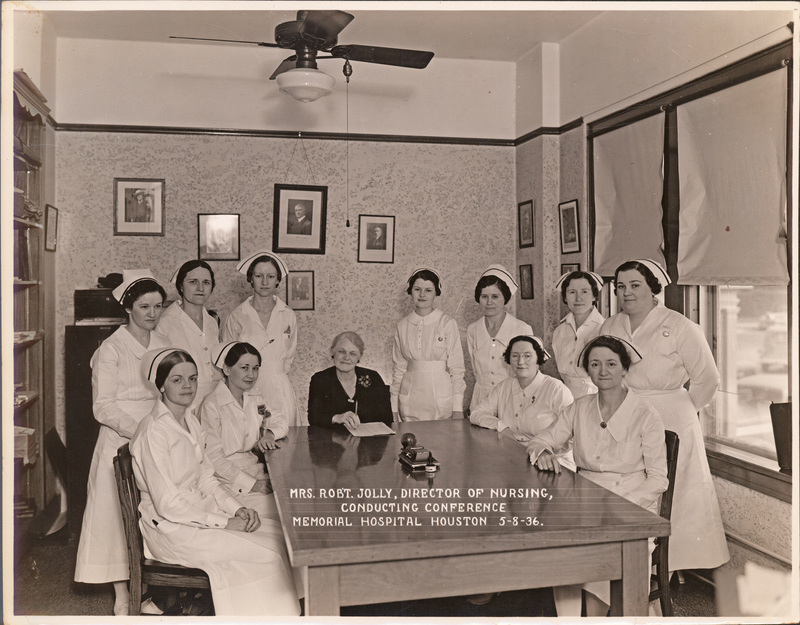 Memorial Healthcare System, Handbook of Texas online. 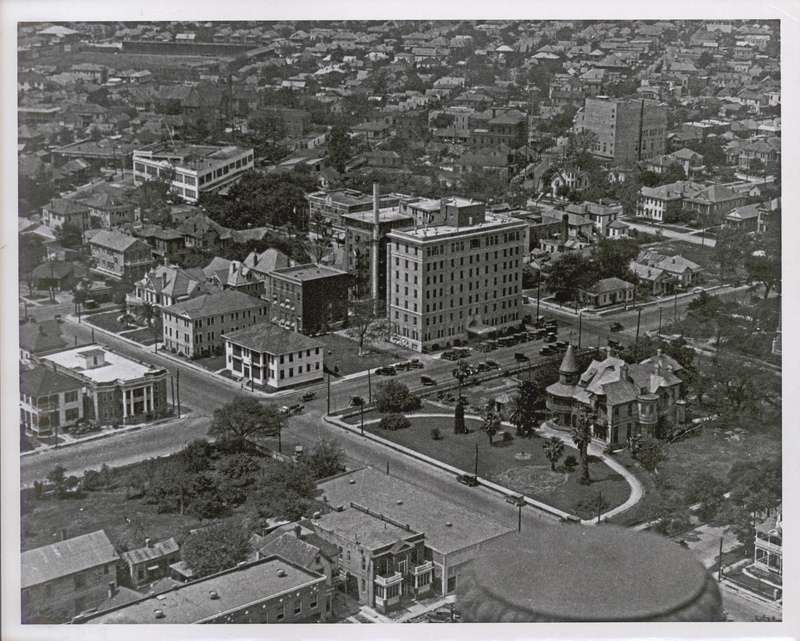 The big Victorian house in the lower left is gone, replaced by a Mission-style building and Carl McMillian’s Ford dealership. There is a new gas station across the street. The Neoclassical building and Queen Anne house on the block to the left have been replaced by a modern office building, and there are two pharmacies, the L&L and the Continental, within a block of the hospital. 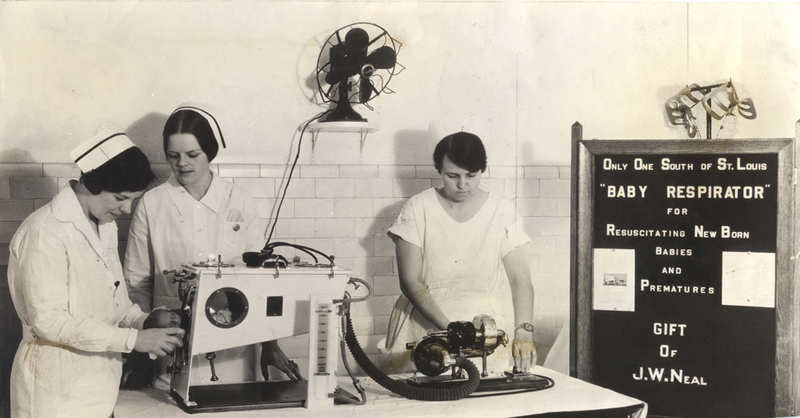 The nurse at left, sitting on the gurney, was also an attendant in the baby respirator demonstration. The “little white cottage” was the former nurses’ dormitory and was located behind the main hospital building, which is visible in the background. Memorial Hospital “staff flash board, for coming in and out”. Mr. and Mrs. Jolly’s indicators are at the upper left. Thelma Parry, seated at left, appears in both the baby respirator and children’s home pictures. Ted Francis and Carole McFarland, The Memorial Hospital System: The first seventy-five years, Larksdale, Houston, 1982. Page 63-64. 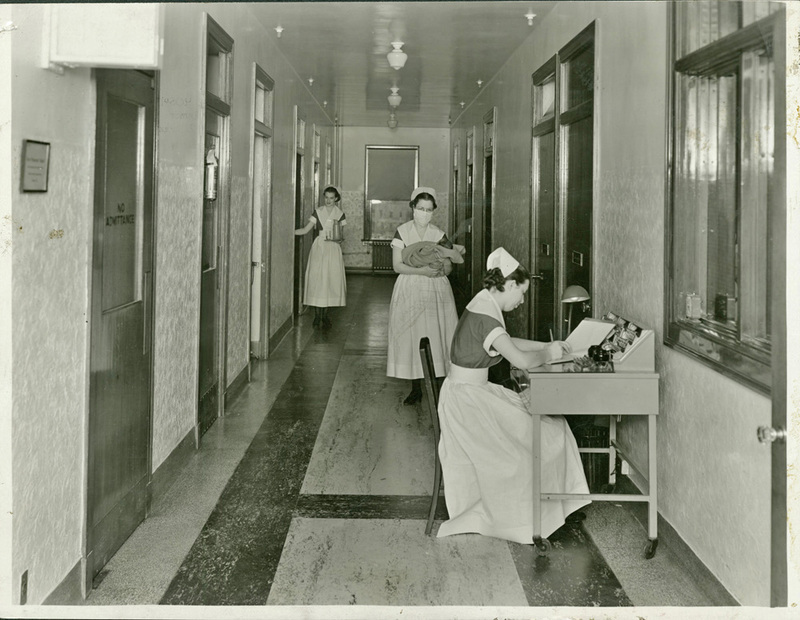 A hallway and small nursing station in Memorial Hospital’s maternity ward. A posed photograph but a nice one, complete with a newly-minted Houstonian. 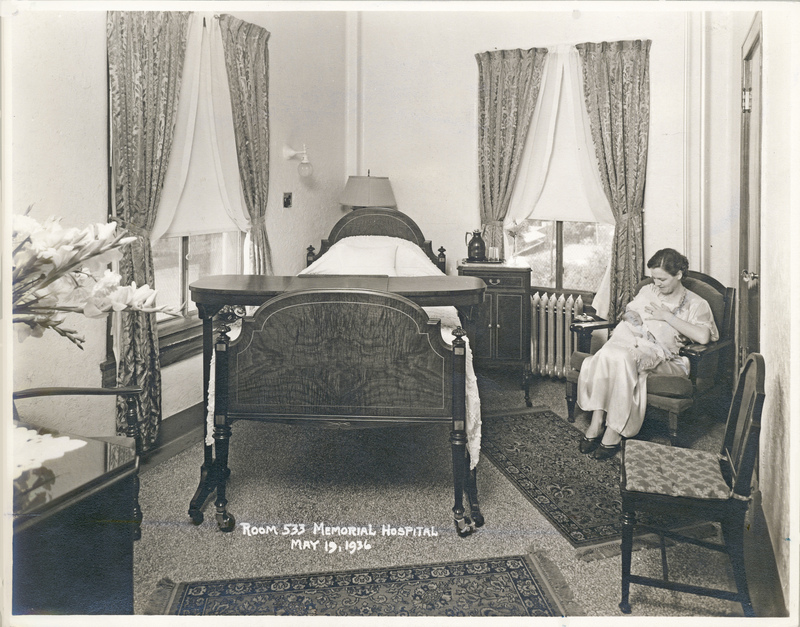 Newly-furnished, home-like, room in Memorial’s maternity ward. This type of iron lung is called a Drinker respirator after one of its developers. 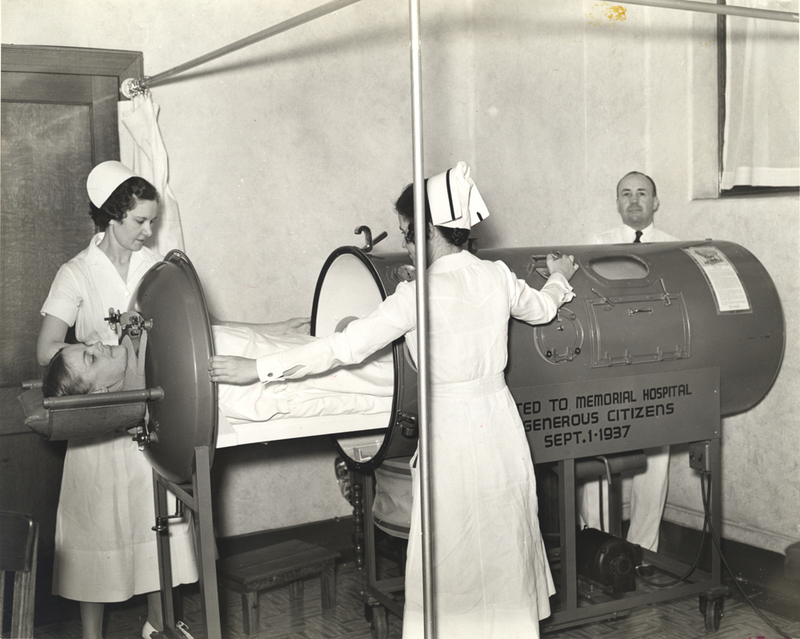 Iron lungs work by alternating negative and positive pressure within their sealed body chambers—the negative pressure creates a vacuum around the patient that expands the chest cavity, compelling inhalation, and then a cycle of positive pressure compels exhalation. Negative-pressure ventilators of this type only came into use in the late 1920’s, so the acquisition of this in 1931 was quite a coup. At the time, it was one of only 36 in all of the United States and Canada. 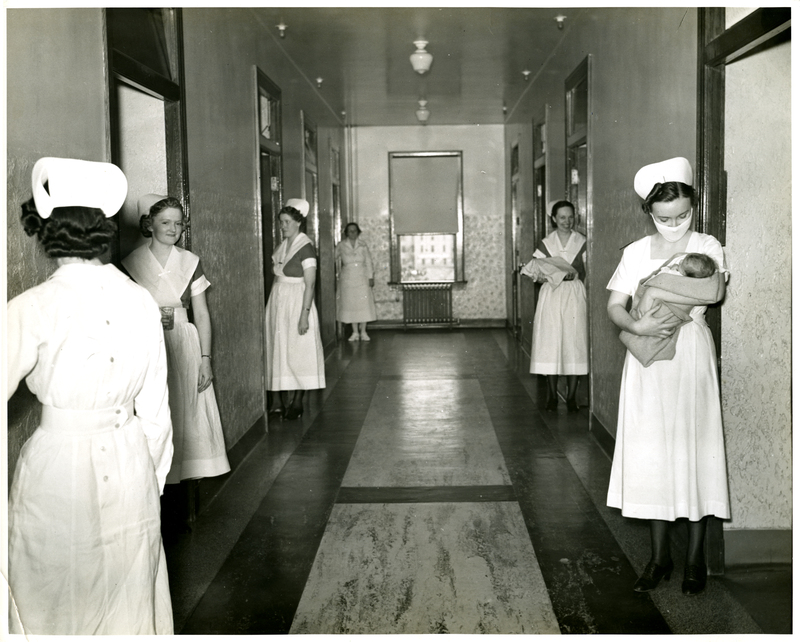 Hospital administrators publicized the new baby respirator to spur fundraising for an adult-sized one. Ted Francis and Carole McFarland, The Memorial Hospital System: The first seventy-five years, Larksdale, Houston, 1982. Page 48. 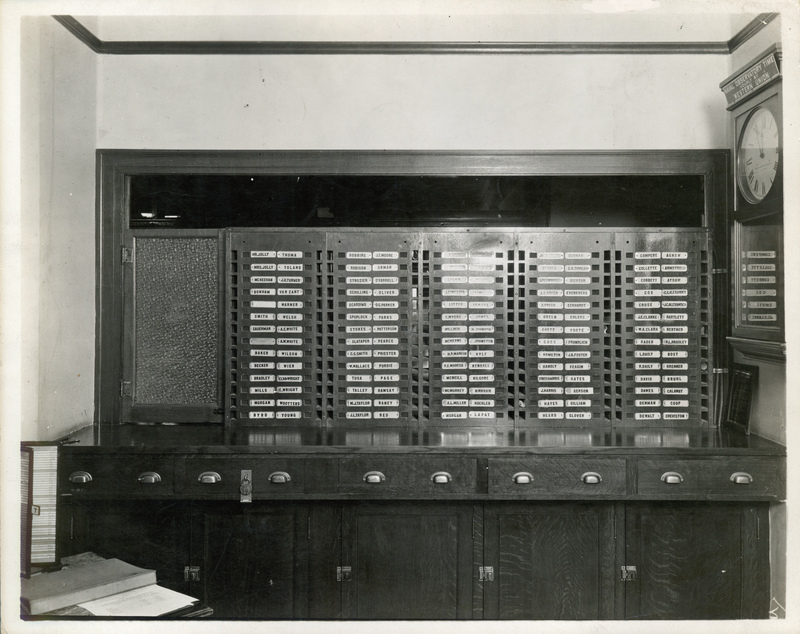 National Museum of American History online. 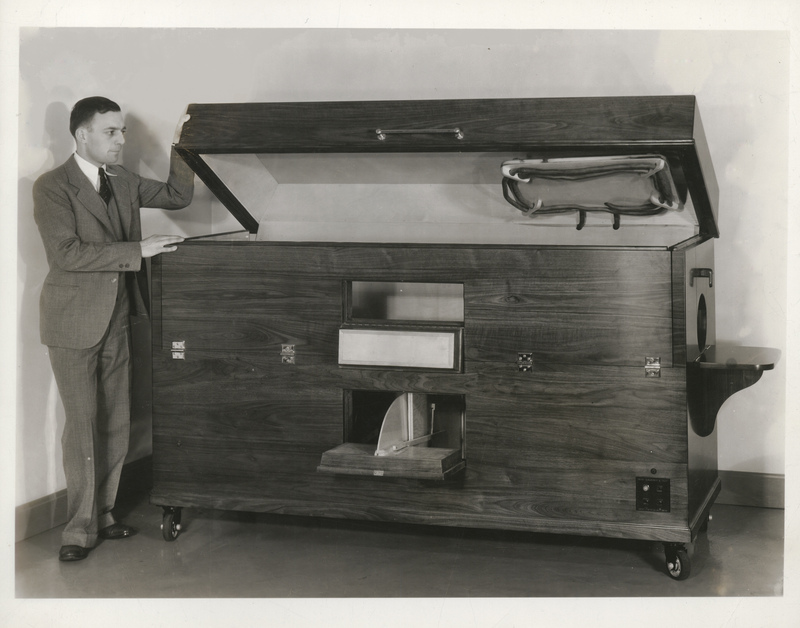 This is an Emerson (John Haven Emerson, 1906-1991) iron lung, an improvement on the Drinker design. 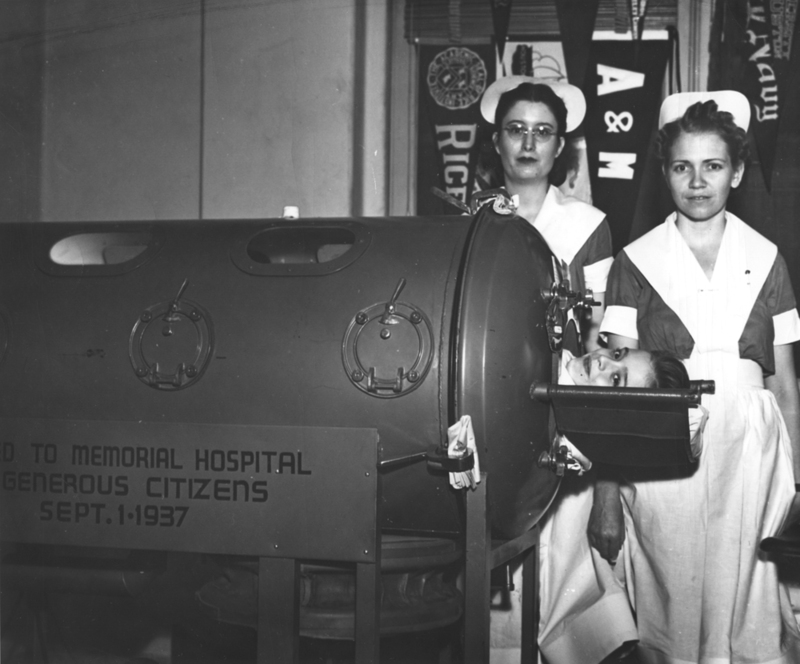 It seems to have been Memorial’s second adult-sized iron lung; the first one was a Drinker model donated in 1931 shortly after the gift of the baby respirator. 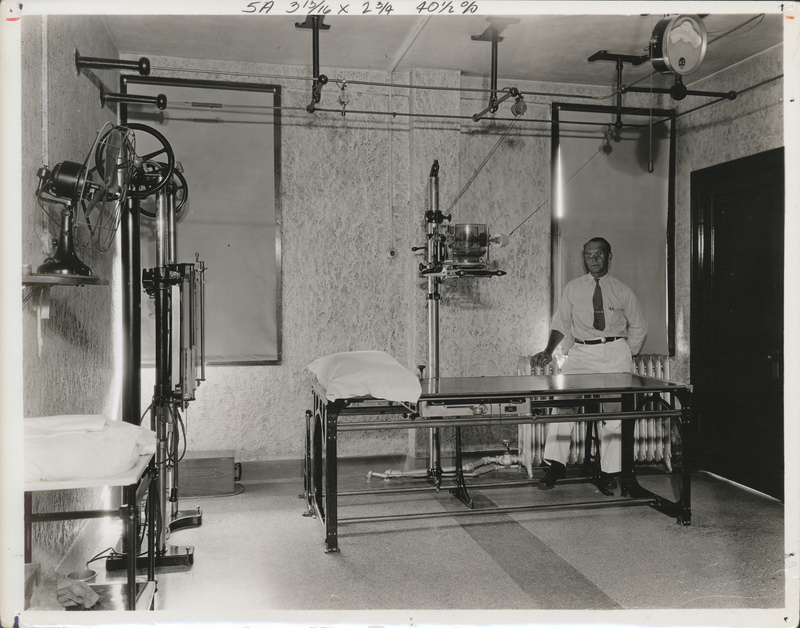 The slide-out bed and portals in the side that allowed nurses to attend to patients without removing them from the lung were Emerson innovations. This apparatus is a “fever cabinet”, used to raise a patient’s body temperature for therapeutic purposes. Induced fevers were used to treat several conditions, including some infections and forms of arthritis. 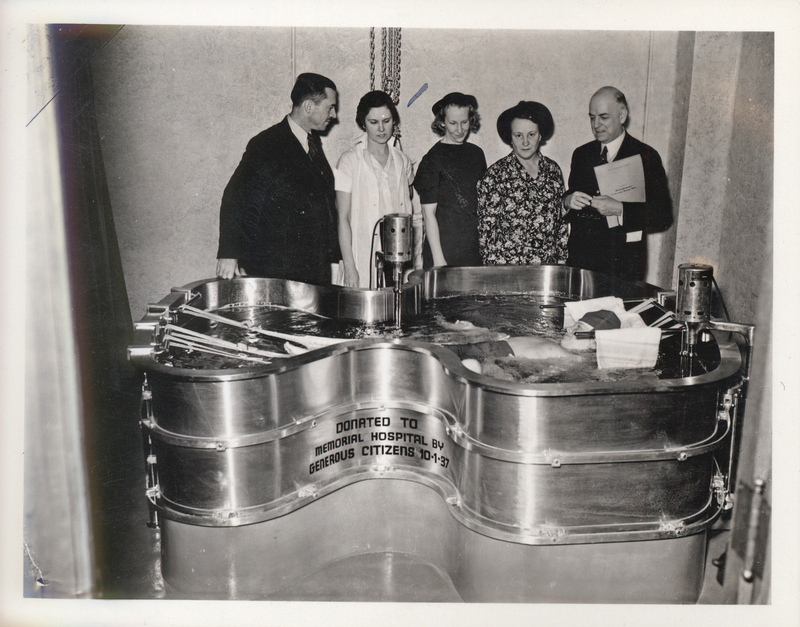 A related picture shows this machine being used on a child, so it, along with the Hubbard tank, may have been part of an effort to treat a childhood joint ailment by increasing circulation. 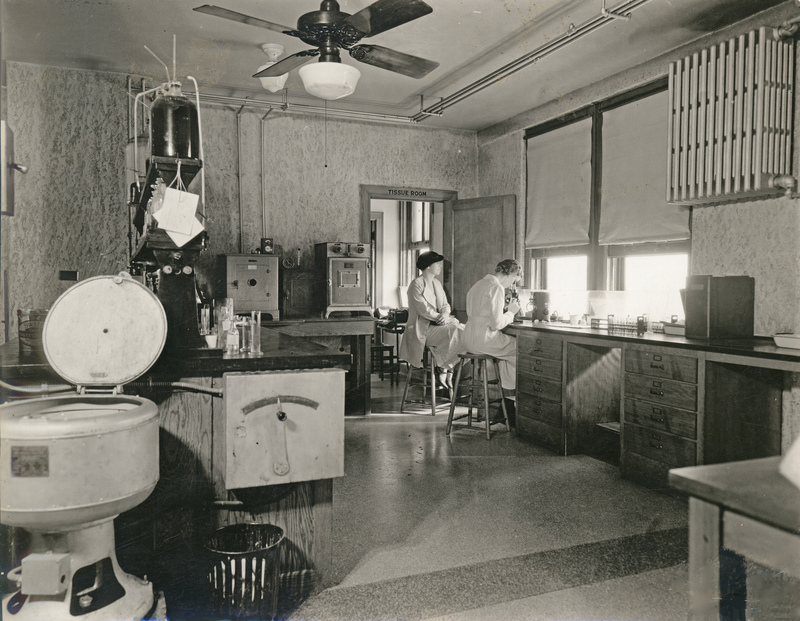 Memorial’s tissue laboratory. The white appliance in the left foreground is a centrifuge and the cabinets to the left of the “tissue room” door may be incubators. 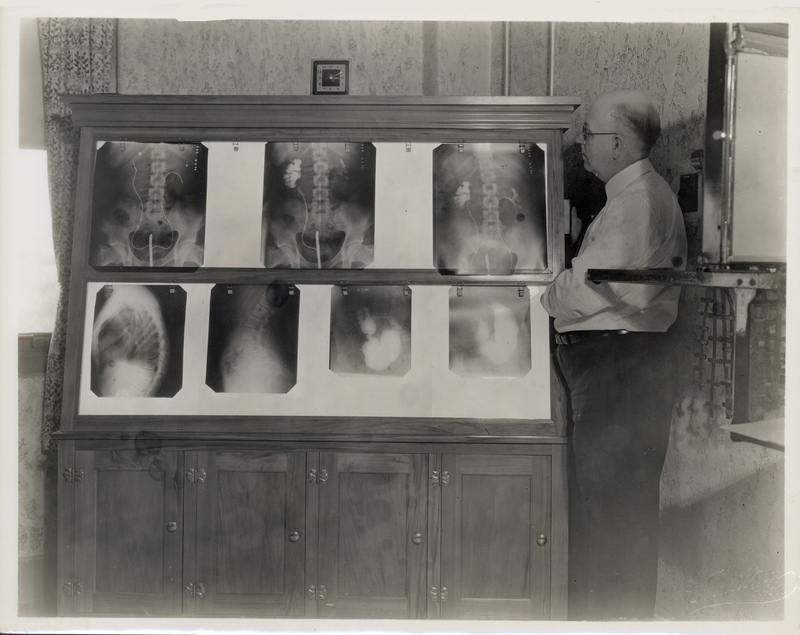 Radiology was often referred to as “roentgenology” until the mid-twentieth century, for x-ray pioneer Wilhelm Röntgen. Norman Williams, Christopher Bulstroned, and P. Ronan O’Connell, eds., Bailey and Love’s Short Practice of Surgery, 26th ed., CRC Press, 2013, page 1274. 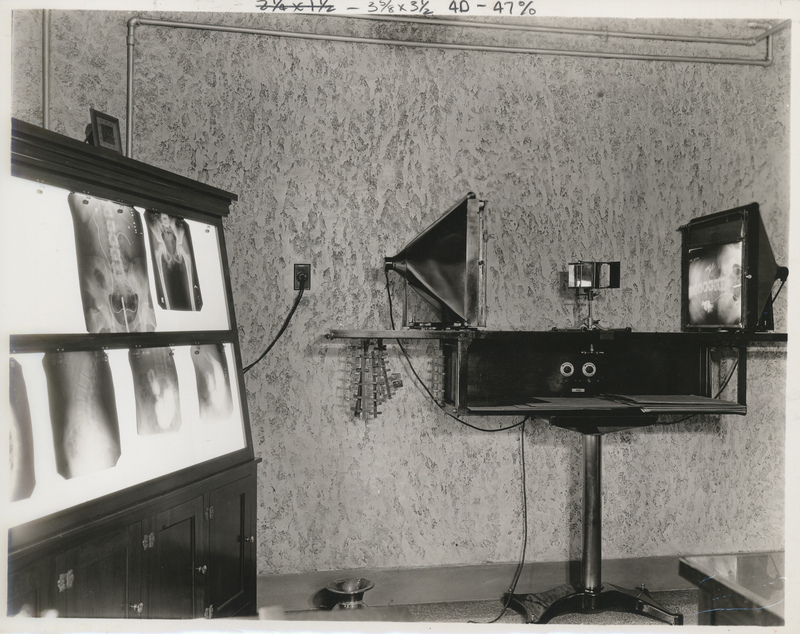 British Society for the History of Radiology online.